London’s Gabriel Prokofiev has been running the contemporary classical club night Nonclassical for nearly a decade, alongside the record label of the same name, releasing forward-thinking music created with traditional instruments, often bolstered by remixes from the likes of Thom Yorke and Hot Chip. 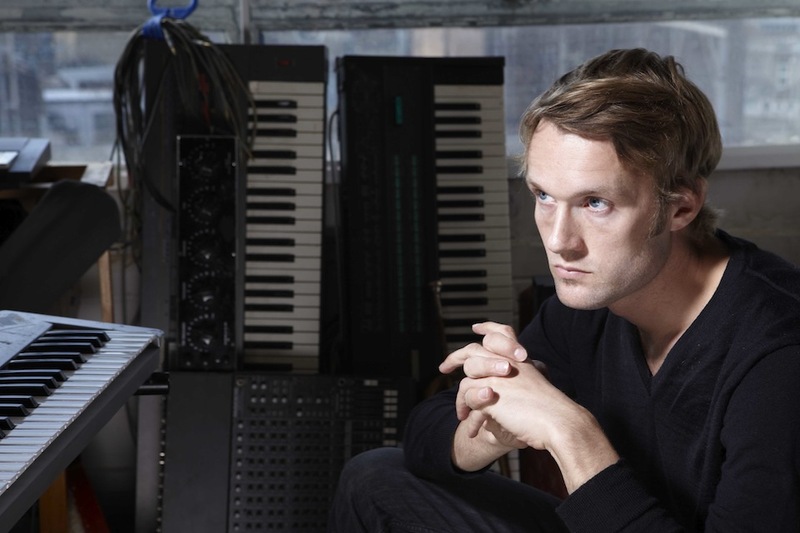 The label is even currently offering an open competition to remix cellist Peter Gregson, with the winning remix appearing next to that of Warp Records‘ Tim Exile. I asked this renaissance chap a few questions about the whole Nonclassical concept, the pros and cons of traditional versus electronic methods, collaborations and his upcoming work with the legendary 113-year-old record label Deutsche Grammophone. The name “Nonclassical” defines itself by what it’s not. So, what is it, then? Nonclassical does concern itself with classical music, but presents it in a non-traditional way. It’s not a name to be taken literally, but rather a name that questions what is classical music and looks to break away from its old-fashioned image. If we were being more pedantic, it should be written “(non)classical.” But that would be a very ’90s contemporary classical way of writing it! Much of the music released on the Nonclassical label and played at the events is actually classical – but usual contemporary classical or earlier works that pushed the boundaries. However, the DJing and the remixes that have become an important aspect of Nonclassical over the years are much less classical and fit the name more literally. Speaking of names, when I was a radio DJ in college, a lot of this sort of music was referred to as “new music”. What’s your opinion on that term? New music is such a broad term that it’s quite harmless, but therefore pretty meaningless. Though many composers don’t like to pigeonhole their style, if it is going to have a label, it might as well be slightly descriptive. I think I prefer “contemporary classical” for new classical music that is being composed now. According to your online bio, you had a classical background growing up, then went on to produce and DJ electronic music. Now you’ve now come full circle. Was there anything in particular that prompted you to return to (non)classical music, or was it more a simple progression or evolution? In fact, for most I my life I’ve been doing classical music alongside electronic, dance, and funk. When I was growing up I was writing songs and playing in bands as well as playing in school orchestras and studying theory. And after I graduated from studying classical music, I spent a few years producing hip-hop and electro. But I realized that I am more inspired by the emphasis on originality and innovation that exists in contemporary classical music; whereas there’s much more of an emphasis to stay within a certain style, and sometimes even within a particular tempo, in dance music. For the last few years I have just been concentrating on composing classical, but with occasional left-field visits to hip-hop and electro in the remixes I do. I’m currently working on a purely electronic composition for Luzerner Ballet, and that is an exciting chance to bring in some of the energy of electro into a classical piece, and has made me realize that I would like to produce more dance music and write more songs if I can find some time. Traditional instruments, like cello or trumpet, haven’t changed dramatically in the past couple of centuries; meanwhile, music production software gets more advanced at a seemingly exponential rate. The fast rate of development in music technology is interesting, but I don’t think traditional classical instruments will ever lose there importance or power. They evolved over a long period of time and are one of the most appealing aspects of the western classical tradition: sound waves that come directly from the fingers or mouths of the performer have an intimacy and human quality that electronically produced sounds will always lack. Of course electronic sounds are very exciting too, and I’ve frequently composed music for acoustic instruments that is influenced by the developments in electronic music. But how many new sounds are yet to be created by electronic means is an interesting question. Having spent the last two months experimenting with various synthesizers and computer software, I was shocked how hard it was to find sounds that were really original. So much electronic music has been made that most sounds do seem to have some reference point But that is a good thing; the freedom offered by working with electronics often feels overwhelming. I’m always inspired by the apparent limitation of a string quartet or orchestra. And in fact, new sounds are still being discovered in those instruments even though their design hasn’t changed. Good points. And, not to pick one method over the other, but if you’re performing cello, for example, you can be fairly certain it won’t freeze like a laptop. Your album Cello Multitracks was performed by Peter Gregson. Did you write it with him in mind, or only later choose him as the right fit for the the work after it was finished? I had already composed the pieces by the time I met Peter, but as soon as we met I knew he was the ideal performer for the work. Cello Multitracks was inspired by the power of the instrument and its incredible versatility; I really wanted to show how the cello can play the dirtiest of bass-lines as well as the most sensitive melodies, and also to explore the more unconventional sounds it can create. Peter was down for all doing all of that, and had the skills to pull it off natural and musically. Speaking of collaborations, I took a peek at your Discogs entry. I was floored by all the bases you’ve covered with your different projects. You’ve produced for Ladyhawke and Lady Sovereign, remixed Christina Aguilera and even Meredith Monk! You were also part of Spektrum on the respected Playhouse label. Do you have any unfulfilled dream collaborations?